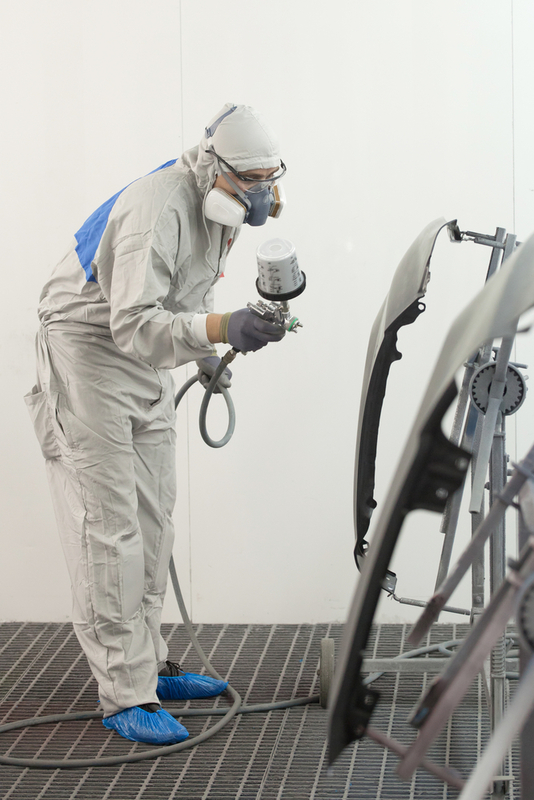 If you’ve ever chipped or scratched your car’s exterior paint, you may have wondered how an auto body technician could mix a seamless color match. To clear up any confusion about this amazing technology and to help you begin the repair process, check out this simple guide created by your local ABRA Auto. While some collisions repairs can be remedied with paintless dent removal, others require a more intensive procedure that begins with color-matching. First, your auto body technician will determine your vehicle’s color code using a computerized color match system. However, the process becomes more intricate once you account for color variants. Variants are caused by a wide range of factors including temperature, humidity, air pressure, and even different paint suppliers. Experienced technicians typically use a blend application technique where they gradually build up the color until it perfectly matches the existing paint. Let Your Local ABRA Auto Provide the Perfect Paint Job! From paint chips to auto body dents, you can trust your local ABRA Auto to restore your vehicle to its original glory. For a list of their various collision repair services, visit their website.